Home » Blog » What is a Product Defect? Sometimes, people are injured by the products they use. 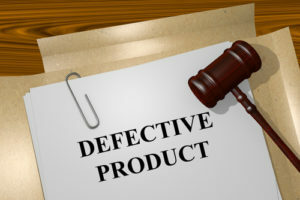 This is because either the people using the products did so improperly and injury resulted or the product used was defective and the defect caused the injury. If the latter scenario caused the injuries, the injured people may be able to successfully sue for their injuries. The type of lawsuit they would bring is called a products liability lawsuit. 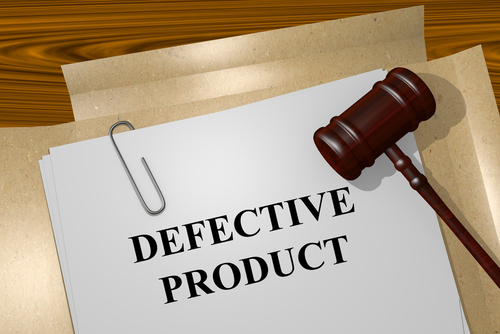 This article examines the types of defective products that lead to products liability lawsuits and how an injured person may bring a products liability lawsuit in Florida. Manufacturing defects occur when the manufacturing process of a specific product prevented the product from being made according to design specifications. Usually manufacturing defects are caused by the use of one or more faulty parts in the construction of a product or the improper assembly of said product. Examples of manufacturing defects include the manufacture of a vehicle without installing brake pads, the manufacture of a bicycle with a cracked chain, or the tainting of a batch of medication because the wrong chemical was used in the compounding process. Design defects, on the other hand, occur when there is a structural design flaw in an entire product line, which makes the product unreasonably dangerous. Contrary to manufacturing defects, which only affect one specific product, design defects affect all products made according to that design. For example, if a car manufacturing company designed a car which was too top heavy and, as a result, the car was prone to flip when driven around curves in the road or turning, all cars made with that particular design would be considered to have a design defect. Warning defects are product defects that do not have to necessarily do with the inherent dangerousness of the product itself because of the way it was designed or manufactured. Rather, this type of product defect exists when the product is placed into the stream of commerce without any warnings or with inadequate warnings as to the possible latent dangers of using the product. If a drug company, for example, manufactures and sells a new drug where there are proven lethal side effects if the drug is taken with other medications, then a warning defect would exist if the packaging of the new drug did not contain this warning or the warning was too inconspicuous. If a product that you use has one of the aforementioned product defects, Florida law provides that you may bring a products liability lawsuit against the responsible party. Products liability claims are strict liability claims. This means that, as long as you can prove that the defect was abnormally and/or unreasonably dangerous, you may recover damages if the defect cause your injury. Moreover, you may assert your products liability claim against the manufacturer of the product, the distributor of the product, and the seller of the product. While you do not need to join all three defendants in the lawsuit, it may be prudent to do so because the burden then shifts to them to prove that the defect did not exist when the product was in their control or another viable defense. While a products liability lawsuit can be brought in Florida if you are injured by a defective product, Florida law limits the time period in which you may assert a products liability claim. To bring a products liability claim, Florida statute provides that you must file said claim within four years of the date of discovery of the harm caused to you by the product. Furthermore, Florida law also limits recovery for some products liability plaintiffs. In strict liability cases, you may not recover damages for solely economic losses such as lost profits. However, you will be entitled to recover damages to treat the injuries you sustained because of the product if you successfully prove your case. Did you or a loved one sustain serious injuries due to a defective product in Florida? Don’t let the medical bills pile up while you wait for the negligent party or their insurance company to do the right thing. Right now, you need an aggressive personal injury attorney on your side, fighting to get you the compensation you need, want, and deserve. The skilled attorneys at Lawlor, White & Murphey represent clients injured because of defective products in Fort Lauderdale, Venice, Naples, Pompano Beach, and throughout Florida. Call (954) 525-2345 (South Florida) or (855) 347-5475 (Toll Free) or fill out our online contact form to schedule a free consultation about your case. We have an office conveniently located at 2211 Davie Boulevard, Fort Lauderdale, FL 33312, as well as offices in Naples, Venice, Port St. Lucie, Pembroke Pines, Weston, Coconut Creek, Pompano Beach, and Plantation.